James A. 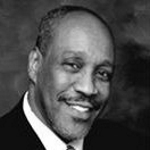 White Sr. is a Master Training Management Consultant and Executive Coach. As owner and operator of Performance Consulting Services, a business performance training, development, consulting and coaching firm in Columbus, Ohio, James is dedicated to sharing his experiences, insight, enthusiasm and passion with all people. With over 25 years of corporate, K-12/College education, and government experience, James is committed to the training and development of individuals, groups and organizations. He has conducted training consulting in over 34 school districts throughout the United States of America. In addition to his formal degreed education from MATA Drafting College, Capital University and The Ohio State University, James has acquired over 30 corporate certifications in performance training programs/initiatives. He has also accumulated tens of thousands of hours of platform delivery experience in the classroom environment. To date, James has successfully trained over 250,000 thousand people. As a result of his education, entrepreneurship and employment history with the Xerox Corporation, Wang Laboratories, Digital Equipment Corporation and the United States Air Force, James has a rich array of diverse business experiences, which positions him with a wealth of unique and valuable resources, skills and success tools. He is known for his humorous, yet real world and impactful, informative training style. James has recently co-authored a book on the topic of diversity, culture, consciousness, inclusion and integrity entitled: A Better World: Understanding How Your Personal Operating System Affects Culture, Diversity & Inclusion. Jim’s philosophy is; once you put your mind to it (with the appropriate tools, skills and resources), you can overcome any of life’s many obstacles and challenges… As a 17- year-old inner city, high school dropout with the disability of Dyslexia, he entered the U.S. Air Force, received his G.E.D and served his Country as an Air Policeman and Top Security Draftsman. James is devoted and extensively involved with his family, student education and community health and stability. In his commitment to the growth, development and advancement of all people, Jim has inspired people of all races, genders and backgrounds to take the steps necessary to achieve their goals and objectives. He truly believes we all are our brother and sister’s keeper. The success of America lies in the hands of each individual U.S.A. citizen. Success will only be achieved through access, opportunity, equity and collective and shared responsibility. A chain is only as strong as its weakest link. Each individual must develop their skills, talents, strengths and passion in the achievement of performance excellence.